Escape the urban bustle at Scuba & Snorkeling and Speed Boats Tours. Chateau De Labourdonnais and Siva Soopramaniar Kovile Bel-Air Riviere Seche are good opportunities to explore the local culture. Go for a jaunt from Grand Baie to Flic En Flac to see Swim with Dolphins about 1h 10 min away. There's much more to do: stroll through Mont Choisy Beach, don't miss a visit to Notre Dame Auxiliatrice, relax and rejuvenate at some of the best spas, and take in nature's colorful creations at SSR Botanic Garden. For where to stay, reviews, photos, and other tourist information, go to the Grand Baie trip itinerary maker site . Dubai, United Arab Emirates to Grand Baie is an approximately 10-hour flight. In February, Grand Baie is somewhat warmer than Dubai - with highs of 35°C and lows of 28°C. 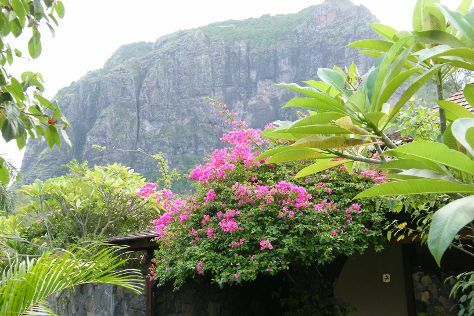 Finish your sightseeing early on the 17th (Sun) to allow enough time to drive to Le Morne. A rugged rock crag surrounded by white-sand beaches and an emerald lagoon marks Le Morne, a World Heritage Site. Satisfy your inner culture vulture at Le Morne Brabant and International Slave Route Monument. Get in touch with nature at Black River Gorges National Park and Heritage Golf Club. Change things up with a short trip to Gris Gris Beach in Souillac (about 42 minutes away). There's much more to do: get close to the beloved marine mammals with a swim-with-the-dolphins experience, examine the collection at Curious Corner of Chamarel, stroll through Ebony Forest Reserve, and don't miss a visit to Crystal Rock. For ratings, traveler tips, photos, and other tourist information, refer to the Le Morne trip itinerary planning website . Traveling by car from Grand Baie to Le Morne takes 1.5 hours. In February, daytime highs in Le Morne are 35°C, while nighttime lows are 28°C. Wrap up your sightseeing by early afternoon on the 23rd (Sat) to allow time for travel back home.